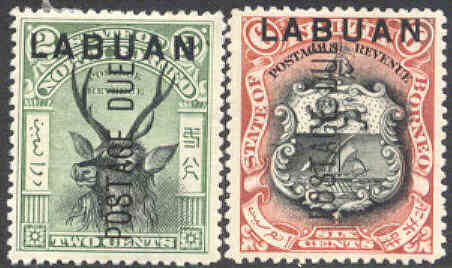 Y SG 32. 10 c Victoria 1985. (£ 10). m SG 62/70 og 73. 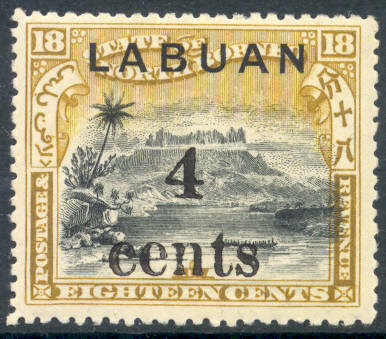 1, 2, 3, 5, 6, 8, 12 og 24 cents fra North Borneo med overtrykk "Labuan". (£ 111). Y SG 63/65, 67, 70/71 og 73. 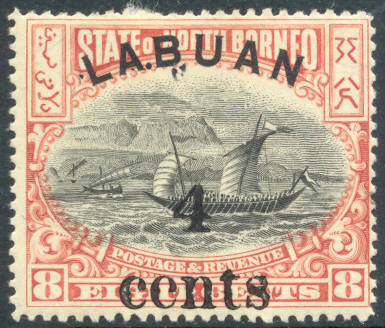 2, 3, 5, 6, 12, 18 og 24 cents fra North Borneo med overtrykk "Labuan". (£ 80). m SG 64. 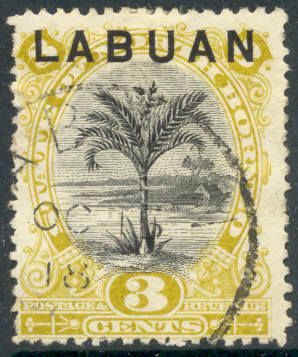 3 c Sago Palm 1894. (£ 17). m SG 65. 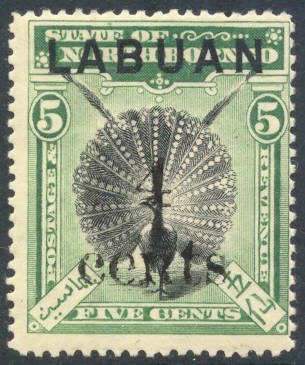 5 c Great Argus Pheasant 1894. (£ 24). Y SG 90. 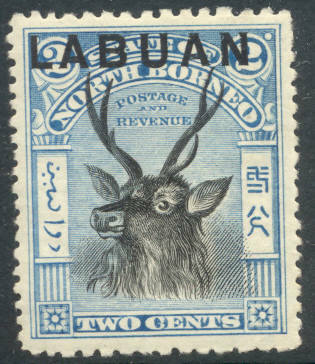 2 c Sambar Stag 1897. (£ 15). Y SG 129. 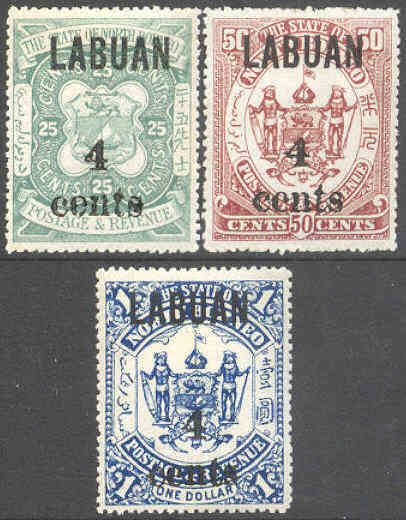 4 cents on 5 c 1904 (£ 40). Y SG 130. 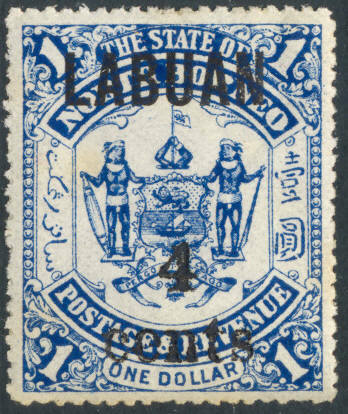 4 cents on 6 c 1904 (£ 12). Y SG 131. 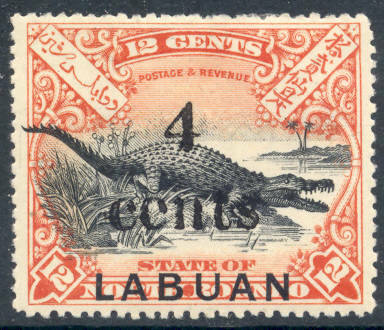 4 cents on 8 c 1904 (£ 25). Y SG 132 a. 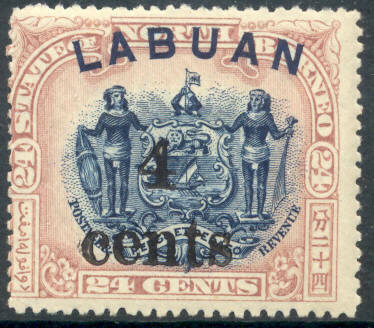 4 cents on 12 c 1904. (£ 27). Y SG 133 a. 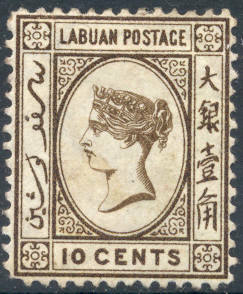 4 cents on 18 c 1904. (£ 27). Y SG 134 a. 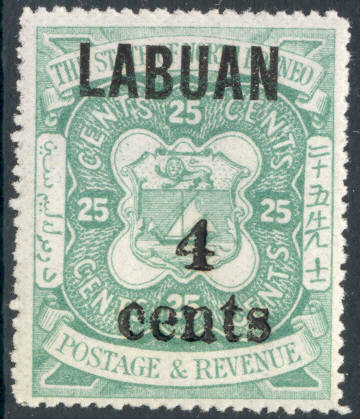 4 cents on 24 c 1904. (£ 27). 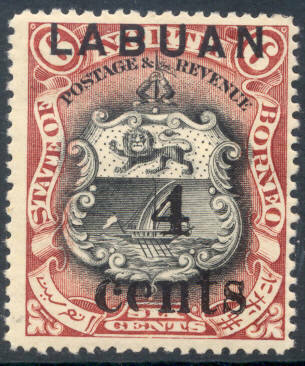 Y SG 135/137. 4 cent på 25 og 50 cent samt 1 dollar provisorier 1904 - 3 letthengslete merker. (£ 25). Y SG 135. 4 cents på 25 cents provisorie 1904 - pent merke. 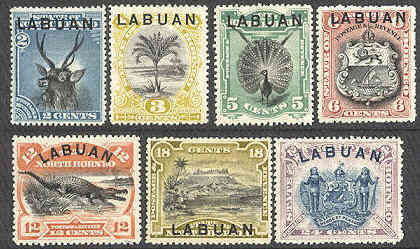 (£ 8.50). Y SG 135. 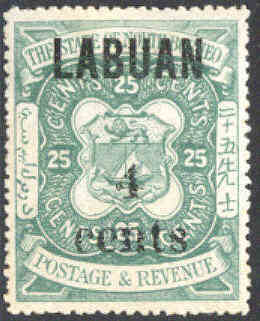 4 cents on 25 c 1904 (£ 8.50). Y SG 136. 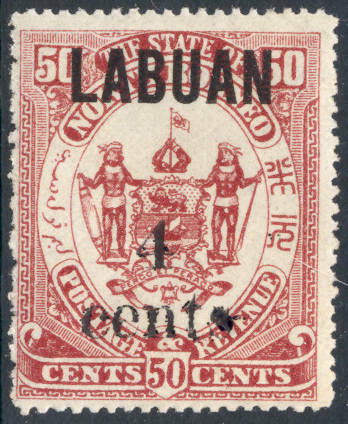 4 cents on 50 c 1904 (£ 8.50). Y SG 137. 4 cents on $ 1 1904 (£ 8.50). Y SG D1 og D5. 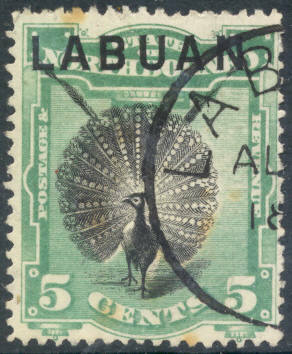 2 og 6 cents med overtrykk "Postage Due". (£ 39).